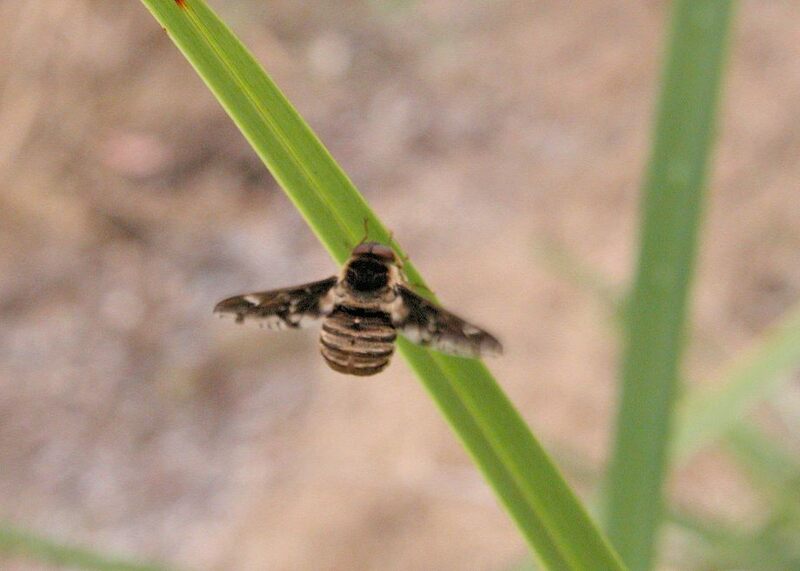 Pictures were taken in Alexandra Hill bushland on Feb 2006. The pictures show the fly get caught in a spider web. We thought this fly was a Beefly in family Bombyliidae. Dr Christine Lambkin send us email advised that this should be a member of the Family Nemestrinidae and the genus Atriadops. 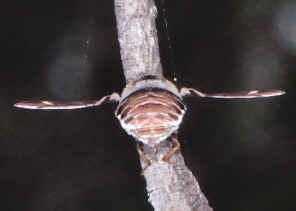 We believed it is the Atriadops javana. 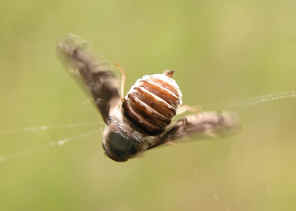 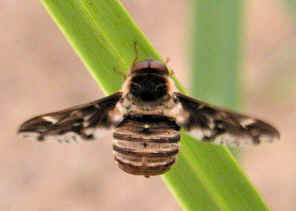 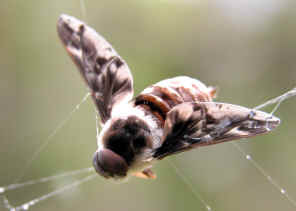 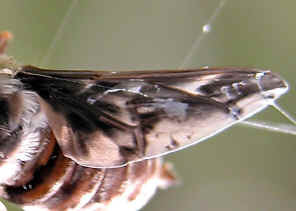 This Tangle-vein Fly has five nearly parallel branches of veins reaching the anterior margin of the wing, The wings are dark brown in colour with creamy white spot patterns. We also found this fly in Karawatha forest on Apr 2004 and Apr 2010.